is, by many accounts, the premier African American teacher, writer, speaker, on the subjects of spirituality, personal development and loving relationships. She is the author of 15 titles, which include 5 New York Times Best Sellers. The founder and Executive Director of the Inner Visions Institute For Spiritual Development conducts workshops and classes around the country, throughout Africa and the UK sharing her brand of practical spiritual and personal growth skills which is a blend of ancient African wisdom and ancient universal principles. As an author, Vanzant has touched the minds and hearts of more than 8 million readers in 23 languages. 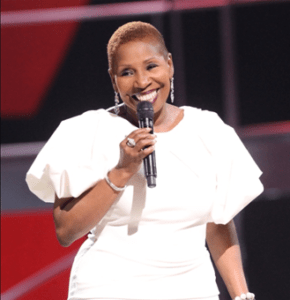 Iyanla earned a law degree from City University Law School at Queens College, which propelled her into the number one ranked Public Defender’s office in the country, the Philadelphia Public Defender. Her transition into talk radio was a fluke. After leaving the Defender’s Office, she was invited to be a guest on a local radio talk show in Philadelphia. The subject: From Welfare To Work: What’s The Plan For Women. Who better to discuss how to move from public assistance to personal independence? The guess spot unfolded into to a weekly show and the penning of her first book, Tapping The Power Within: A Path To Self-Empowerment For Black Women, where Vanzant first exposed her propensity for all things spiritual. Iyanla describes the next 10 years of her life as a whirlwind that resulted in a contract with a major publisher and the authoring her first five books; the birth of her second grandchild who she has raised; the marriage to her lifelong love and national prominence and recognition. According to Vanzant, My life was moving so fast, I had to run to keep up with it. 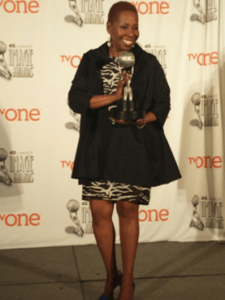 In 2014 and 2015, Iyanla Fix My Life was awarded the NAACP Image Award for Outstanding Reality Programming. 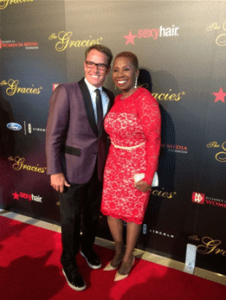 This was followed by Gracie Award in 2014, 2015 and 2016 deeming Iyanla as an Outstanding Reality Host by her industry peers. Iyanla Fix My Life has consistently held the number 1 rating spot on Saturday night among women 25-54 and is still frequently in the number 1 spot on the OWN weekend lineup. relied on to create and launch her line of all natural body products. The Master Peace products line was created in honor of her daughter Gemmia who passed away in 2003 following a 15-month battle with colon cancer.The line that now consists of body wash blends made from a combination of African black soap, herbs and essential oils combined to have an impact and effect on the subtle energy of the body; and bath soaks to cleanse, relax and restore the body. 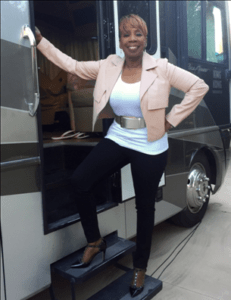 It is Iyanla’s intention to expand the product line in support of her vision of making “rest” a lifestyle. 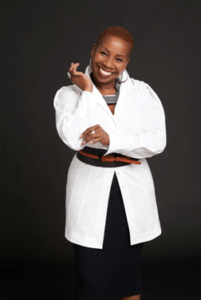 With the national launch of the MasterPeace products, Iyanla hopes to support those who are following her advice of “doing their work” to clean up their lives.